4. Website traced to Milton, Australia. 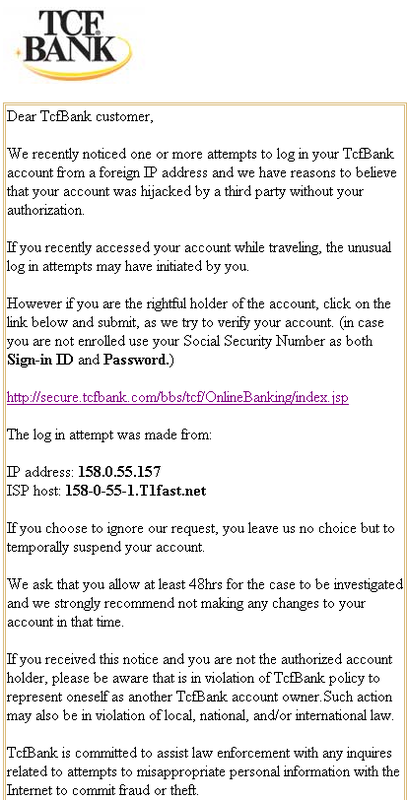 "Dear TcfBank customer, We recently noticed one or more attempts to log in your TcfBank "